Here are five more 76 Ball short films from the camera of Earl Ma, these from his recent trip to Southern California. Compared to the Oahu spheres posted earlier, you’ll note that the SoCal stations aren’t using the rotating motors, thus weakening the power of this extraordinary sign. 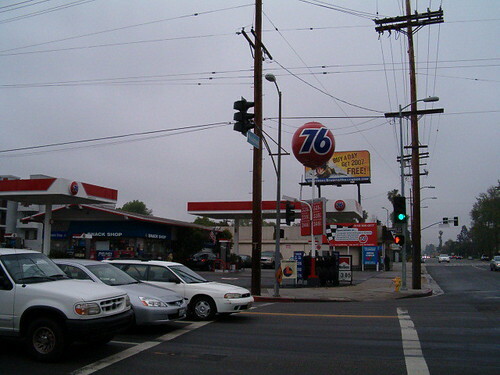 Is this a cost-saving move, or just another symbol of corporate neglect? 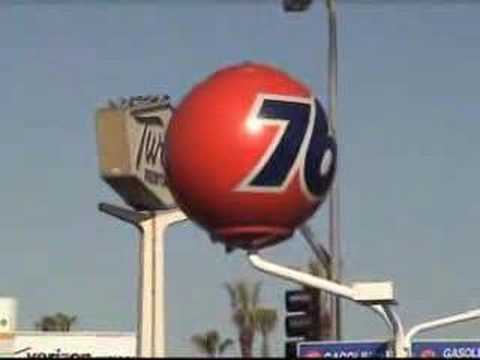 One idea I got for saving the 76 Ball would be to contact the Los Angeles Dodgers & announcer Vin Scully. The relationship between the LA Dodgers,Vin Scully, & 76 go back to the early 1960’s. What better way to get this petition going!